Still no baby, but instead of complaining about that, I'm going to take this girl's advice and enjoy these last few days to the best of my ability. 1. You can do it. DO NOT EVER SHARE YOUR STUPID BIRTH HORROR STORIES. EVER. EVER. EVER. Instead, be encouraging. If you really thought birth was that bad, keep your trap shut. Don't tell me how you screamed throughout the entire delivery. Don't tell me how awful it was. Instead, be encouraging. Tell me that I can do it. Tell me how rewarding it is. Tell me what an amazing experience it was for you to finally meet your sweet little baby. I could go on for days about how much it pisses me off when people tell me about how awful birth was. Put yourself in a first-time-mom's shoes. She is probably nervous and a little scared. Do you think you're making it any better for her when you tell her how awful your labor and delivery were? Look. We are under no illusion that giving birth is easy, so just shut. up. 2. Your belly is so adorable! Do not comment on size, large or small. All women carry differently. I know it can bother me when people tell me how tiny my belly is. Chances are, a pregnant woman feels anything but tiny. If you think she's huge, don't insult her and tell her that. And never, EVER ask if she's having twins. 3. You look so radiant/ you are glowing! 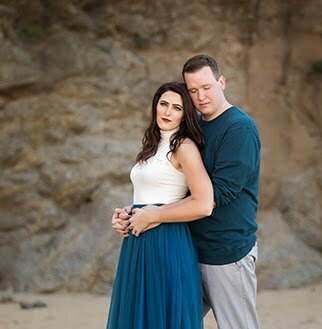 We probably feel a lot like a bloated, swollen whale, so it's nice to hear that we look radiant. If you can't say this and sound genuine, though, it's best to skip it. I don't want your pity! 4. You're going to be a great mom. Ummm this is probably one that you want to save for someone you actually know (because how awkward would it be to walk up to a random pregnant lady at the store, tap her on the shoulder and say, "Excuse me, but you're going to be a great mom. I can tell by all the oreos and pop tarts in your shopping cart." Just... don't). But if you know someone well enough to tell them this, please do! I know I sometimes get discouraged and think of all of the things that I could be doing better, and all the things that I can't do in the first place. I'll never be the mom who has freshly baked cookies for the kids when they get home from school - that's just not me. Does that mean I'll be a bad mom? Absolutely not, but when hormones are raging, it's REALLY easy to think of all the things you're not going to be the best at. 5. You look great! It's always good to hear that you still look like a human being instead of an elephant, so if you see me at the store and want to tell me how great I look, I will never pass up a compliment! HA! 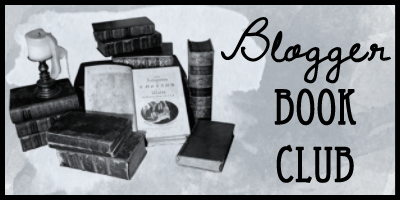 In other news... Blogger Book Club! In case you've forgotten, the book for this month is 1984 by George Orwell. We will be linking up our reviews on Tuesday, May 27th. In order to give you some time to get the June book, we are voting on it now. Genre is paranormal. Vote below by Next Friday, May 23rd! What paranormal book should we read for June book club? your belly is adorable is definitely a good one!! not your belly is huge or big! i don't know why people think that's a good thing to say! I'm so excited for you. Honestly (because that's what you & I do) I'm not super pumped for you for the first few weeks. They're crazy mad hard. BUT. But. The baby is cute enough to make it okay. And they don't last long. I'm most excited for you for about 3 months from now, when your little bambina is smiling and laughing at you, and she recognizes your face and you two are besties. That's what I'm most excited for you for. You're gonna do great. Really. hahaha I love how after what you can say is a rant of what you shouldn't. I think it's pretty safe to say that most pregnant women are pretty pissed off by some of the comments they hear. One woman recently told me about her birth (I didn't ask), she said "two words. razor blades." Then she proceeded to ask if I was going to use a mirror. What so I can watch myself tear to smithereens like you're telling me?!? What the eff is wrong with people?!?!? I absolutely love the Cassandra Clare series. She is a fantastic writer and the first one I thunked called city of bones is becoming a movie. i love this list, especially the first one!! encouragement is so important! I'm surprised you didn't mention any "giving advice when none was asked for" I've always noticed that people are extra keen to give moms advice on how to raise their kids (or be pregnant, or how to give birth). Great list! I definitely agree. Pregnant woman need the compliments and motivation! Happy Saturday. Alyx, i just wanted to say that your belly IS adorable. I can honestly say I think you and Mike will make amazing parents- you already make a great couple! I can't wait to virtually meet the little one. Well... I think you look great! AGREED! Over and over again on all accounts. I am for reals over hearing everyone's horror birth stories. Things that I have never heard of happening before and probably won't happen to me, I am all stressed out about because I had to listen to how it happened to so and so. Ugh.